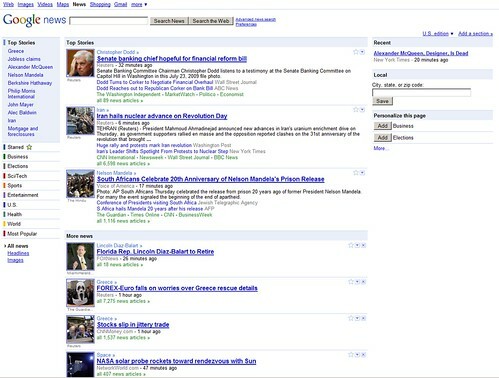 A week ago today, we reported Google News was testing a new home page design. Since then, I have been begging those who have seen the test to post a picture so the rest of us can see what they see. Finally, yesterday, someone posted an image in the Google News Help forum. Extremely different from the current Google News home page. You can click on the image to get a larger size or just click here for it. What do you think? Most people writing about it in the forums are not happy.